I saw all of those pictures on Facebook. Back-to school pics, kids holding signs marking the year and grade. I gave up trying — I didn’t even give the idea of getting that first day of school pic a second thought, because there would be so much resistance from the boys. 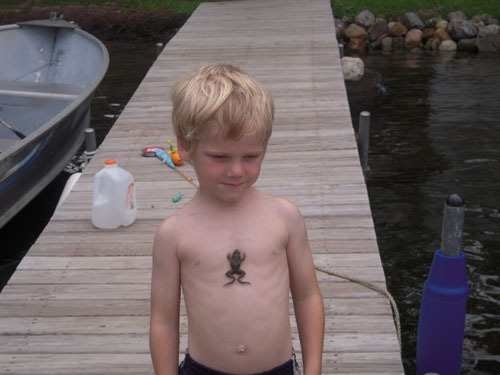 Besides, don’t I have enough pictures of them catching frogs, tubing, and being boys? Who needs a boring back-to-school pic? And, the day was so full. It was back to school… And there were groceries to buy for the one going back to college, a car to pack, lunches to pack, a knee to heal. 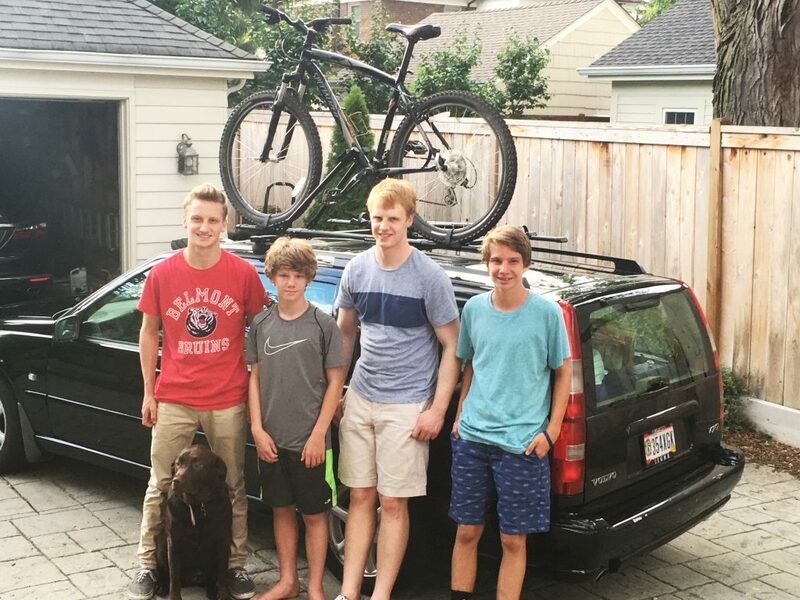 After shelling out $400 in groceries, and being late for soccer pick up, the boys were hungry — dinner doesn’t make itself – we all just focused on the tasks in front of us, and kept moving forward. I was so tired my feet ached. I knew this was a significant day, but, like being stuck in quicksand, I could only reach so far. I hugged the college boy goodbye, I held tight and remembered what it felt like to hold him when he was small enough to fit on my shoulder, his feet pushing into my hip bones, as he strained and lifted his head to stand and see over my shoulder. I brought up the image of his colic, the agony of colic, to make this goodbye seem easier. But, it only made me laugh, cry real tears, which I brushed away fast, and just miss those days. Days he doesn’t even remember. How did we get here so fast? The days are long… And the years are short. This was one of those very long days. He drove off, and I realized that not one of his brothers said goodbye to him. But his cooler was full of food that needed to get put away in the freezer at his apartment, two hours away. He needed to hurry. I kept moving on, putting away dishes, and trying to get one step closer to bedtime. Ten minutes later he was back at home. He had forgotten his mountain bike. While he was working on securing the bike, all of the boys started to wander outside, hovering around the packed car, waiting for that car to leave, so they could get the other one out and get to where they needed to go. And they did. The opportunity just fell into my lap, like a shooting star that just shows up and puts a wish on your shoulder. It was a priceless photo. Mom, Do You Still Feel Lonely?